The author gives his systematic, critical and all- comprehensive consideration of moral intuitionism and outlines his advocacy. Two core aspects of intuitionism are depicted here. The first one is a cognitive aspect of moral intuition as the source of moral justification. The second aspect is moral pluralism as a normative structure of moral theory. His advocacy is based on newer discourses and view-points in contemporary moral theory and metaethics. The author introduces and discloses the concept of moral intuition, i.e. moral insight. The chapters that follow process and analyse historical variants of moral intuitionism, especially by authors such as Henry Sidgwick, G.E. Moore, H.A. Prichard, W.D. Ross and C.D. Broad. The second part of the book outlines particularistic challenge to the moral theory that questions the role of moral principles and rules in moral thought and practice. The author advocates for a new and interesting thesis that moral particularism is above the thesis on moral generalities, not the nature of reasoning. Answers are given to two central challenges opposing the moral intuitionism as moral pluralism. Firstly, the concession is given that the existence of moral conflict and moral dilemmas has no fatal consequences for the moral theory. Quite to the contrary – if we turn around the perspective and put the phenomenology accompanying the moral conflict as the starting point, then the moral theory allowing for the conflict, or rather being able to adapt, seems to have the advantage. The author favours the attitude that the moral conflict and dilemmas are properly adaptable within the intuitionistic model prima facie duty. Secondly, the original image of moral reasons, moral principle and moral judgements is given. The image was built on the concept of prima facie duty as one of the central terms of ethics. The characteristics of actions such as honesty, veracity, righteousness, devotion, graciousness, harmlessness, etc, are fundamental and morally pertinent characteristics, and – as prima facie duty – fundamental moral reasons. 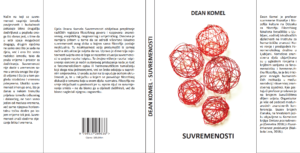 A book by Dean Komel titled „Conteporarities“ is featured by the overlap of different scopes of philosophical speeches and discourses: scientific, non-fictional, dialogical and artistic. The basic purpose is to determine multi-aspectual experience of the contemporariness of nowadays where the philosophy itself becomes non-contemporary. The feature of non-contemporariness needs to be interpreted from the very modes of world actualisation today. It is exactly the multitude of worldlinesses of the world that brings forward the moment of the contemporariness in its draft and depreciation. The dual perception of the draft and the depreciation is the fundamental mode of author’s approach when it comes to phenomenological description or hermeneutical interpretation that are, thus, non one-directional but often occurring into different directions. 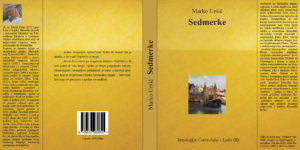 The author refers to it in the introduction by drafting the self, and also in the epilogue which he dedicates to the philosophical discourse on the topics he outlines in this book. The philosophy must not disregard opposites for they are the key of comprehension – not to fully decipher it but to consider its mystery. The manner in which the contemporariness is spread between the historical and the future expresses a significantly different touch in terms of what it is today, incorporating other options, or in other words, not only what is now but also what will is to be in the meantime, thus providing the time and space for comprehension. The contemporariness is not the touch with the time only in terms what follows and what in that respect is simultaneous and time-appropriate. If the contemporariness gives a name to that what is today on the turning point of the past and the upcoming, it does not solely create a single time mode but only its horizontal touching point in time that just is. The contemporariness means comprehensive acquiring of battles and time. The book titled „Moral Theory. On the Nature of Morality“ by prof.dr. 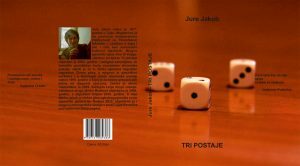 Vojko Strahovnik features a comprehensive outline and analysis of the theory of morality, i.e. metaethics as it developed during 20th century. After the introductory chapter, setting up fundamental questions within the framework of morality theory, the author commences with his own encounter with the philosophical challenge thorough the philosophy of G.E.Moore. He sees Moore as the one who clearly separated metaethical issues (primarily those of defining the concept of good), from substantial, or rather normative, questions – first we need to answer the questions of the meaning of moral expressions in order to properly tackle the issues of ethics in terms of the content. This is how he established fundamental trails for the development of the theory in 20th century devoted to primarily to moral semantics and moral ontology (Hare, Ayer, Stevenson, Mackie) and to moral knowledge (Pritchard, Ross), while the final chapters deal with moral psychology and moral phenomenology (Blackburn, Gibbard, Horgan, Timmons). One of the consequences turned out to be a rather strict distinction between theoretical, i.e. metaethical questions, and essential, i.e. normative, questions of ethics. The author suggests in his work that both levels are, nevertheless, significantly interconnected. The book encompasses twelve chapters and outlines viewpoints within the moral theory in both historical and topical terms. Hence the book comprises also some of newer discourses as well. 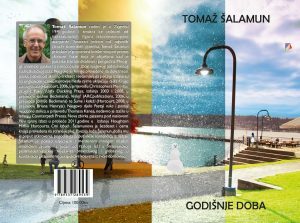 The author juxtaposes his views and reasonings with a wide range of authors. In terms of the content we can recognize several common red threads stitching individual chapters together. One of them is the question of moral judgement and therewith connected challenges, such as Frege-Geach problem. An immensely important place is taken by the question of moral knowledge. The very extraction of the moral theory by the author is original in itself, as well as the synthesis of the fundamental questions and individual arguments linked with the decades of moral theory development. The index of essential viewpoints and arguments is also quite practical thus enabling readers going through individual chapters only. This monography is therefore an original and important work in the field of the theory of morality. 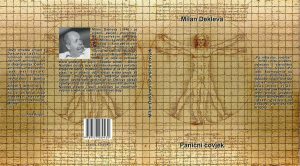 The Seven is a philosophical book by the author, prof.dr. 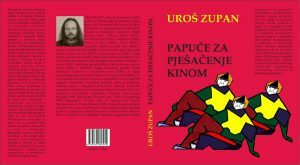 Marko Uršič, written in four literary genres (dialogues, glossa, essays, sonnets) and following the seven-fold rhythm of days in a week and the four-fold rhythm of lunar phases. The composition of this book is mathematically based on a harmonic sequence of four parts, with seven meditations each, and it takes the reader into a restored philosophical guiding principle of eternal thought- and art-forms of the spirit. The main topical concepts of The Seven are Platonism (Plato) in seven discourses of the main characters – a “countryside cosmopolitan” – a handyman Bruno, a secretive Angel – his nocturnal guest – and renaissance humanism by Michele de Montaigne where the author, through seven essays, correlates to Montaigne’s ideas and further develops them both in personal and contemporary contemplative spirit. He claims Plato and Montaigne have much more in common, specially the philosophy as love for wisdom, the search for the eternal and the unceasing in the “river of time”. Such open and “polyphonic” thinking – philosophy as the path to comprehension and as the “patron of questions” to which there is never the ultimate answer, is author’s philosophical credo. In this work titled The Disclosure of Being. 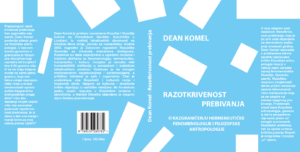 On the differentiation between hermeneutical phenomenology and philosophical anthropology, which was first published in Slovenian language some twenty years ago, the author Dean Komel contemplates over issues of hermeneutically based critics of philosophical anthropology which greatly determined the development of the school of phenomenology. Generally speaking philosophical treatise of the humanity is nowadays prevented by the realisation of its techno-scientific manipulation having no regards for the purpose of its being. The issue of the idea of philosophical anthropology, having seen it from that point of view, is not only one of many contemporary philosophical problems, but it also depicts the critical position of the philosophy today and a human “in” today. Recognizing the disclosure of being as a riddle of ourselves, Dean Komel sets the question of the boundaries of the philosophical anthropology. In what sense do we talk about the boundaries of a philosophical discipline dealing with the essence of a human? Are there more than one or does it come eventually to a single one remaining unrecognized as such, thus inducing limitless anthropodicy of the whole being? And what if a today’s human is no more capable of enduring the disclosure of being, and gradually keeps caring less for one’s own relationship with the Whole? 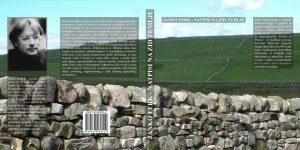 A translation of the Austrian historian and philosopher Wilhelm Baum. 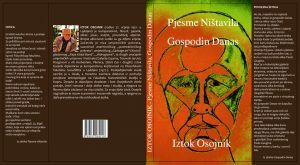 The book is devoted to the research of a life path and philosophy by Ludwig Wittgenstein, one of the most prominent philosophers of the 20th century, in which a completely new interpretation of Wittgenstein’s philosophy is given – something between mysticism and logic. 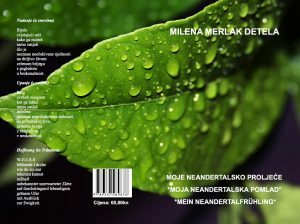 The book was published with the support of Austrian Federal Ministry of Science and Education. The translation of this master work on Karl R. Popper, the founder of a philosophical course which marked the 20th century, not only with a thorough criticism of science, but also with a social philosophy and economic theory, brings a comprehensive study of the biography and work one of the most prominent thinkers whose influence is still felt and fruitful in contemporary times. 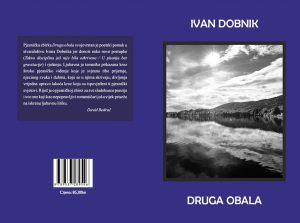 The book was published with the support of Croatian Ministry of Science, Education and Sports and Austrian Federal Ministry of Science and Education. The European Union – History and Future is a book comprising two essays on the European Union. 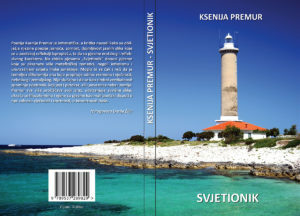 The first one, titled Liberal Understanding of Individual Freedom and its Impact to the Status of Human Rights – Historical, Philosophical and Political Dimensions is a comprehensive study into liberalism as one of political options in the contemporary political streams in the European Union and, apart from liberalism as a political direction, it examines liberalism as an idea, ideal and ideology from historical and political points of view. 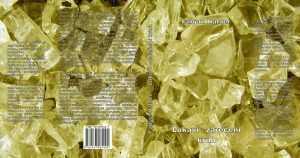 The other essay, titled European Union and the Republic of Kazakhstan deals with contemporary issues of the involvement of the European Union in the Republic of Kazakhstan from political, economic and legal aspects thus questioning the range of EU expansion into areas left out from the current discussions of the matter. Yet the scope of expansion clearly indicates the activities of legal institutions and economic engagement have penetrated very actively and efficiently into the region, although they have been pushed out of the focal issues on the future of the European Union. In the monography Law is »The Trial«. On Kafka’s Legal Philosophy, Janko Ferk deals with a topic not yet scientifically worked out in details; he contemplates about legal-philosophical and legal-theoretical contents of The Trial, along with other novels by the Austrian author Franz Kafka. 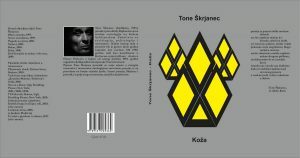 The author had to transcribe legal connotations of a work of literature into the language and jargon of the theory of law, simultaneously following the logic of a literary work given by Kafka’s Trial, which he excelled at as he mastered both sciences in their particular methodologies; he also connected both fields in a very creditable way in his monography. 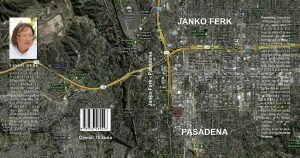 Janko Ferk debates about the creation of the novel, biographical and historical backgrounds and the reception that has gone worldwide by now. In that context Ferk speaks of Kafka’s “academic industry”. 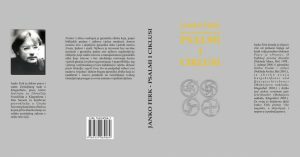 In the main part of the book Janko Ferk deals with legal terminology of The Trial and author’s other prose works, and pays a special attention to the concepts of the “right” and “wrong” (“guilt”) and “justice”, “judiciary” and “court”. Thus for the first time in the history of literature we encounter legal-lingual analysis of Kafka’s works. A special chapter is dedicated to the roles of judges and lawyers. This chapter is particularly interesting as the author himself is a judge, with a background of a practicing lawyer. 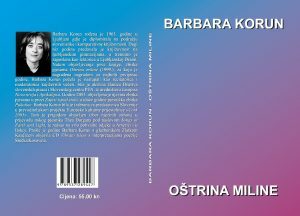 In this book the author successfully contemplates about the essential questions of Kafka’s writing and interconnects great scientific topics of the “philosophy of law” and the “theory of law”. Law is “The Trial” is the first detailed study into Kafka’s works from a legal perspective. 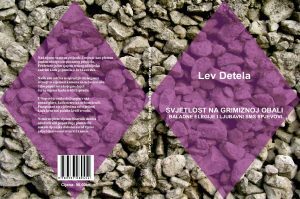 Andrej Ule is probably the most famous name of the theory and philosophy in Slovenia. 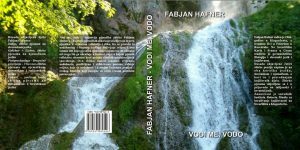 In the book “Science, Society, Values”, apart from general theoretical and even epistemological insights and issues about the relationships between the science and the world, he pushes science into two fresh and in this region still less travelled paths. The author primarily puts up questions about the transmissions of scientific knowledge into the practice and the reality, about social and economical effects of science onto the society, about a so-called scientification of the society, but also on the socialisation of the science. On the other hand the author also discusses the ethical responsibility of the science and scientists and critical reflections, immanent to them. This way, along with the arising development of biotechnology, for example, or terrifying examples of ideological and political occupation of science as we are taught by the dark historical experience, they keep warning us and requiring cautious and thoughtful usage. Even more so, respecting the fact that Ula is well-recognized for, that valuable and impartial usage of science, even if it were possible, because this leads to its bureaucratic instrumentalisation. 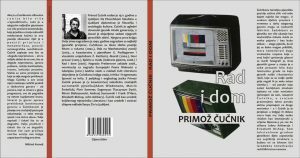 The book “Dynamic Philosophy” by professor Matjaž Potrč, PhD, in an appealing way features significant topics from the philosophy of the language and the thought relating to human environment and human activities. Philosophical themes are intertwined with the topics from the psychology and artificial intelligence, with the focus being on the epistemology, including the psychology of knowledge, and the computer models of spirituality in its classical form and connectivity. The language and the thought are outlined as the fundamental in human activity focusing on the objects as given by the environment. The object is determined as something within the reach of human activity and therefore within human comprehension. The thought focuses on objects and covers a scope ranging from middle-dimensional goods to abstract images of objects. Objects are not given as static but as emerging in the active environment of actions. The dynamics leads to comprehending them. 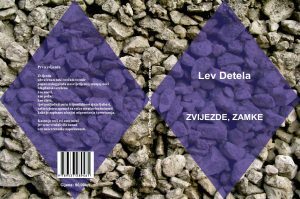 The book features topics of memorising, errors, information, modularity, cognition, causal theory, scarcity and ampleness of stimuli, inner states, functionality, realism, syntax, wholeness, content and relations. The philosophy is trying to explain human reality. What deserves the most prominent place in such a reality is what is so typically human – the language and the thought. That road was leading towards anti-naturalistic philosophical viewpoints. 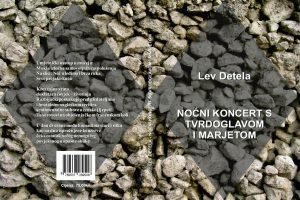 This book by Prof.Matjaž Potrč is trying to upgrade these viewpoints in a naturalistic way. How far can an inclination towards the preference of objects help interpret the language and the thought? The initial thesis claims the language and the thought are dependent on the objects. Supporting evidences and materials have been gathered to argue for the cause, leading to peculiar viewpoints in the philosophy of the spirit, perception and action. The stress is on the perceptive action. This goes about the intention, the modularity, the distinction and collaboration between the perception and the cognition, the scarcity and profusion of stimuli, the information and deception, the functionalism, the realism and the content. The thought was given the priority before the language, while the associated acting perceived objects were given priority before the thought. Phenomenological heritage is close to the philosophy of mind and to the cognitive science. Brentano’s conception of phenomena is the beginning of phenomenology, and it provides a tool for its understanding, all the way to the ecological intentionality of Heidegger’s being-in-the-world. Husserl’s work is a transition from the descriptive towards an ecological and dynamic intentionality. Analytical philosophy and phenomenology are compatible. Naturalism is close to both schools of thought. Phenomenology is concerned with an account of phenomena as intentional entities. Organic unity characterizes both phenomenology and cognitive science. Organic unity may be externalized and it needs to be ecologized. The basic distinction is between higher cognitive level including perception and thoughts, and a lower cognitive level involving sensations. Both these levels are joined in organisms. An additional thesis claims that organisms are the only entities. Sensations are assigned an autonomous cognitive level, besides to the level of higher cognition. Concepts and sensations harbor similar mechanisms of individuation. In his reistic phase Brentano subverted the Aristotelian understanding of substance and accident, by looking at phenomena as accidental wholes with substance as their proper part. Such understanding of intentionality allows to look at organic unity as characteristic for various breeds of phenomenology. Husserl’s work on thing and space is analysed as a careful description of perception beginning with the static and ending with the dynamic ecological model. The resulting ecologism shows Husserl’s vicinity to Heidegger’s concept of an organism’s being-in-the-world. Key for Heidegger’s understanding of intentionality in his early work is found in the ecological Gibsonian model that looks at intentionality as a skilful practical involvement of the organism. This again keeps Husserl close to the structure of the Brentanian reistic phenomenon. Two levels of Heidegger’s intentionality involve first teleological intentionality which sees the basic involvement to be in the organism’s handling of its surrounding world. Putting the practical skill into a wider setting allows rationality to come through. This is followed by review about how the research in connectionism is inspired by Heidegger. The relation between being-in-the-world and artificial intelligence is a topic important for the artificial intelligence itself at the time the shortcomings of the traditional symbol crunching model of mind become evident. The need to include surroundings of an intelligent system into an appropriate account of cognition becomes obvious. 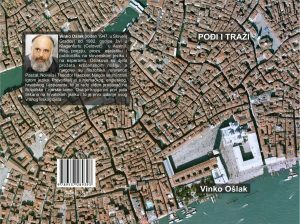 Matjaz Potrc, born 1948 in Maribor, is full professor of analytic philosophy at University of Ljubljana, was elected as professor in Zagreb and was teaching in Zadar. Grant of french government in Paris with Julia Kristeva and Jacques Lacan, Alexander von Humboldt Stiftung in Muenchen with Wolfgang Stegmueller, Fulbright grant in Memphis with Terry Horgan. 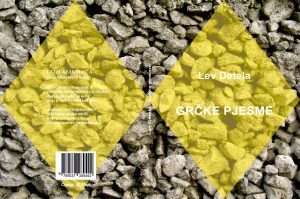 Among several books: Austere Realism (with Terry Horgan, MIT Press), Practical Contexts (with Vojko Strahovnik, Ontos Verlag), Phenomenology and Cognitive Science (Roell Verlag). Origins, the Common Sources of the Analytic and Phenomenological Traditions (edited with Terry Horgan and John Tienson, Southern Journal of Philosophy), Challenging Moral Particularism (edited with Mark Lance and Vojko Strahovnik, Routledge). Hundreds of papers and book chapters. Works in metaphysics, ethics, philosophy of mind, philosophy of language. Actively attended symposia in Pecs, IUC Dubrovnik, Rocky Mountain Ethics, Bonn, Second Renaissance Milano conferences. Established Bled international philosophy conferences, journal Acta Analytica (now Springer). 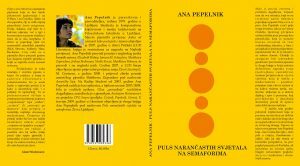 Member of Southern Society for Philosophy and Psychology, alumni Wuerzburg University, former president of Association of philosophical societies of Yugoslavia. On the Renaissance Beauty, the first book of Summer in the tetralogy Four Seasons takes us to the journey to Florence by two village people and life partners, Bruno and Marija, a village wiseman and an artistic soul. Having arrived in Florence they set out on a journey through Renaissance paintings, literature, theology and historiography through a potpourri of monologues and dialogues, through essays, philosophical treatises and even mathematical calculations of golden ratio. Before our eyes a kaleidoscope is spinning – a kaleidoscope of interconnected sequences of a vision and contemplation over renaissance through various genres, from the excerpts from the novel on Sandro Botticelli, a fiction on Bruno and Marija’s perspectives on renaissance beauty and the relationship between beauty and love, to philosophical essays and treatises devoted to Marsilio Ficino, the most prominent renaissance philosopher during the period of Lorenzo De’ Medici, along with the polyhistor Pico della Mirandola and the religious reformer Girolamo Savanarola. 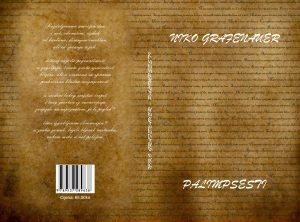 While the listed essays are dedicated to spiritual subjects of love and beauty, of ephemerality and immortality, of the essence of human existence, the excerpts from the novel on Sandro Bitticelli bring a breath of the olden quotidian life into the book, so the story of Bruno and Marija, half a millennia later set in the same streets and shops, is faced with the loads of renaissance beauty of the times gone-by and re-contemplation of that era in the history of western culture. 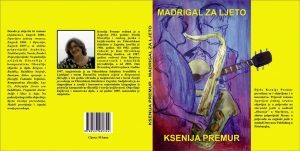 The book Theory of Translation is a master’s thesis by the author Ksenija Premur, a degree she received in 1997 from the Faculty of Philosophy in Zagreb, Department for Slavic Languages. 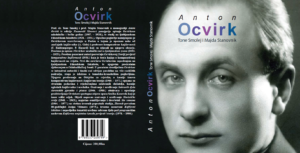 This work is a thorough and multi-layered study into the fundamental problems of the theory of translation. 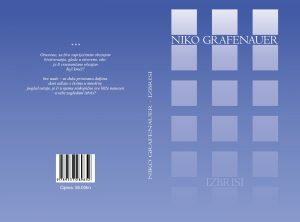 Starting with the treatise about the relationship between general and individual approaches of the theory of translation resulting in deductive (general, universal) and inductive (individual, empirical) approaches, the author introduces the debate on the types and forms, along with the models of translation. 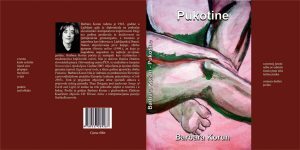 This work elaborates oral and written translations, as well as translation of fiction and scientific texts, which covers the whole range of practices. The problems of translation are given a thorough break-down of the main categories of translation at a level of a general theory, and a worked-out comprehensive overview of the relationship between theoretical and empirical, down to practical, communication, stylistic and textual models of translation. Furthermore, special principles of oral and written translation were elaborated and given individual chapter in the thesis about the theory of translation. The treatise is immersed into an interdisciplinary grid spreading the discussion on the theory of translation from sociological, psychological, linguistic and literary aspects. 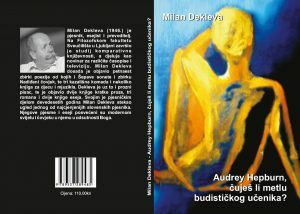 The Aspects of the Theory of Translation is a comprehensive and exhaustive theoretical and empirical study of the problems of translation based on the concrete analysis of translation solutions from English into Croatian, and from Croatian into Russian languages, with the material coming from various genres, from philosophical texts to essays and fiction. 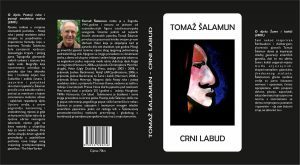 This profoundly valuable piece of work is a result of a personal prolific translating experience, but also a theoretical research into problems of translating; this book represents the third published work, coming after The Theory of Translation (1997) and Models of Translating (2005). A deep analysis of translation patterns connects general theoretical issues with the concrete translation practice thus representing a valuable contribution and material both theoreticians and translators will reach for. 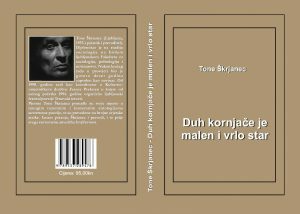 The unwritten rule is that poets should translate works of other poets, while scientific and technical texts require special skill sets only experts who mastered fundamental specialized terminology possess. This is a division between two chapters on the theory and practice of translation – fiction and scientific materials setting up particular requirements before translators. When translating fiction, the reality of space and time of the literary set-up, either prose or poetry, is fundamental. When it comes to scientific and technical translating, what matters is the core of the translation, adequate transfers of concepts and their environment. While textual translating model is mostly preferred method with scientific translation, in literary translation it is the genre-stylistic model that provides best results. The book titled Models of Translation is a theoretical treatise of the three fundamental translation models – textual, genre-stylistic and communication – lying at the borderline between general and special theories of translation. While the basic guideline of the general theory of translation is performing two main types of translating activities – adequacy and equivalency, from which main principles of translations arise – individual and special theories elaborate these categories from the point of empirical translation activities. Models of translation lie at the crossroads of general and special theories of translation. The main premises of the theory thus remain both within special theories and in genres of all translating activities, while the models turn into main link between various empirical translation rules. The textual model, for example, focuses on the text and context as its general and individual principle within which empirical analysis of the word-by-word, all the way to graphological translation is required. Genre-stylistic model is more inclined towards the interpretation as the main principle of translation, while the starting point of the communication model is the informative character of the text, leading up to the formation of the message addressed to the recipient of the translation creation. The work is applicable for translators in both theoretical and practical aspects and as such simultaneously draws attention of theoreticians of translation and the very translators. 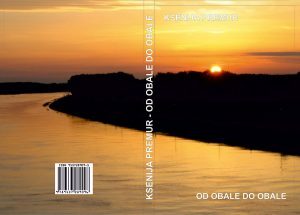 The book was published with the support of the Ministry of Science, Education and Sports.